Support from real developers, best-in-class security, and the most innovative technology to host and manage your websites. Does Cloudtrek offer Colocation options? Cloudtrek only provides options for cloud solutions, however, we are partnered with Alchemy Communications, Inc. who offer reliable and ideal price point for all colocation needs. Please contact our knowledgeable sale’s team for more information. What if our business needed dedicated servers? Cloudtrek offers a variety of dedicated servers to fit your IT business structure. We offer competitive pricing and specs to meet your needs. How quickly will systems be running? Our team is ready to build the system to fit your needs within 24 hours. *Preparation time may vary depending on customization features. How do I access my system? A URL will be provided, along with credentials, for secure access to your cloud environment. Then you have the freedom to add any additional members to the system anytime and anywhere! How quickly can I scale my capacity? Storage, processing power, and memory capacity can be scaled upward virtually on demand. The advantages of a private cloud is that you can customize and scale what you want, at your own pace. Cloudtrek aims to ensure a surplus of resources which are available with scalability that you have in mind. If there isn’t a solution in the virtual machine spectrum, we have the option of adding on or going with a dedicated server to setup the Operating System of your choice. All of our data facilities are SSAE 16 SOC 2 Type 2 audited. cloudtrek’s newest data center is a state-of-the-art, 42,500 sq. 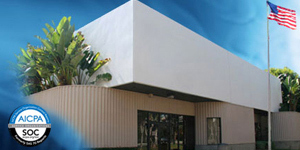 ft. facility located less than 2 miles from John Wayne Airport. This carrier-neutral facility has diverse entry points, with both Verizon and AT&T Point of Presence. Constructed in 1989, the building features 18 in. raised floors, and is equipped with every essential to house and protect your data. The telecommution abilities are endless with dark fiber to One Wilshire in addition to multiple fiber carriers such as TW Telecom, Level3, Verizon Business, and AT&T. Never fear a power outage again: the Irvine Data Center has N+1 redundancy on all systems, and four 600KW Caterpillar Generators with enough fuel capacity to run for 16 hours. 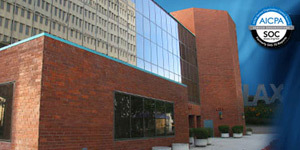 cloudtrek’s main Internet Data Center (IDC) is a 22,000 sq. 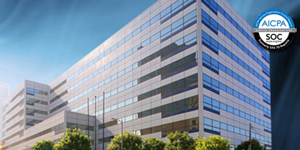 ft. state-of-the-art Gigabit Data Center situated below ground in the prestigious Garland Building located in downtown Los Angeles. This multi-million dollar facility is seismically designed to withstand most natural disasters- including an earthquake of 8.3 magnitude. The spacious facility features raised floors, state-of-the-art redundant fiber optics and redundant self contained fire suppression and cooling system. With 4,000 amps of battery backup, and four 1.5 Megawatt turbo-charged generators, the facility can be separated from city water and power services and still remain full operational for up to 28 days – the backup generators alone could power a city of 25,000 people. The facility is staffed with a 24×7 technical support and video camera surveillance- all designed to bring a greater sense of ease and security to all our clients. cloudtrek’s clients are assured that their mission-critical operations will not be affected by California’s well-publicized rolling blackouts. Building power is drawn from two substations, one of which is on a preferred service grid. This preferred service grid of the Los Angeles DWP only provides service to one other building. A second power grid provides the facility with redundancy. The facility is staffed with a 24×7 technical support and video camera surveillance- all designed to bring a greater sense of ease and security to all our clients.